When cash is tight, don’t ditch the textbook completely; opt for these cheaper, environmentally friendly book-buying options. 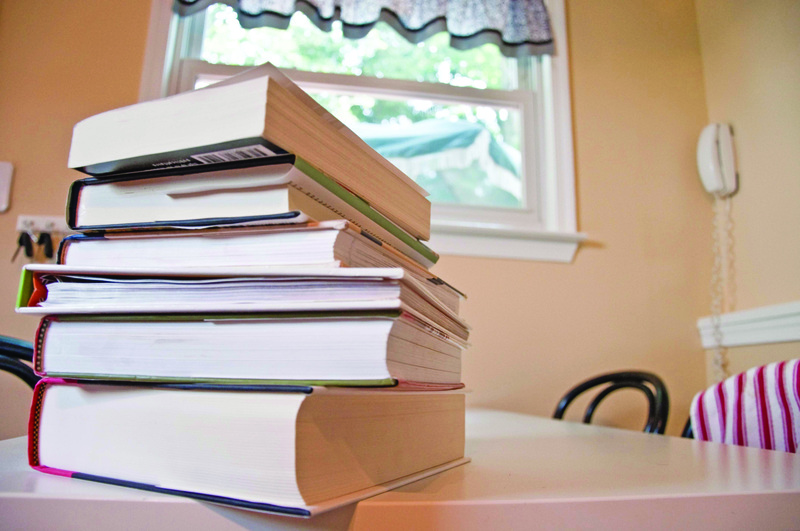 The end of summer brings another school year, which means another year of buying textbooks. Temple’s Main Campus Bookstore may be convenient and reliable, but before spending hundreds of dollars in the Student Center, look into some of the other resources available. For buying books, Zavelle Bookstore is a lot more reasonably priced than Temple’s bookstore. Located at 1520 N. Broad St., Zavelle Bookstore is a popular choice among Temple students, though its selection can be limited. Another bargain spot to try is amazon.com. Books from Amazon are cheaper, but keep shipping costs in mind when calculating prices. The concept of renting doesn’t just apply to houses, cars and movies. It can also encompass the world of textbooks, and Web sites for renting books can be found online, such as chegg.com and skoobit.com. In the same way you rent movies, you pay a fee to receive the book, and the book must be returned after a specific date. At chegg.com, you can save 65 to 85 percent on books. You do have to pay for shipping, which is $15, but for every book you purchase, Chegg plants a tree. Instead of individual book prices, skoobit.com offers its visitors just a flat monthly fee, with plans starting at $10.99 a month, and shipping is free. Both Web sites have 30-day return policies, which are especially helpful because you’ll often find that after you’ve already purchased a book, the professor will say you don’t need it. The cheapest means to obtain books is borrowing, which, in most cases, is free. Temple’s Paley Library is a good resource for books, but there are limits. Borrowing time is only 30 days, and copies can be limited. If you were to checkout books from the library, you’d have to renew them every month. This option works well with classes that utilize classic literature and novels. The second option for borrowing is through a classmate. You could always use the book they bought, but a friendly gesture would be to split the price of a book and share. A final option for purchasing textbooks is electronic books, or e-books. On Amazon, the Kindle, a handheld device that delivers books to you electronically, is available. The investment will cost you $300, but purchasing books on the Kindle is much cheaper, with prices starting at $9.99. Google Books offers a free e-book source that contains a wide selection of books, but free does have its setbacks. Even though a book may be available, it may not be available in its entirety. The semester is already starting, but it’s not too late to get your books at bargain prices. Books shouldn’t exhaust all your summer earnings. With careful planning, you can save a lot of money. Alexandria Brown can be reached at alexandria.brown@temple.edu. Professors assigning their own texts should consider cheaper alternatives. More than 20,000 units were rented from Temple’s bookstore since 2011. Try a price-comparison website that does all of the work and site-hopping for you. I use http://www.campusbooks.com and I literally save hundreds of dollars over bookstore prices every semester. I even sell my books back at the end of the term using the same website. Chegg is a good site, but there are other sites out there that rent books too. My suggestion would be to use a comparison textbook shopping bot like http://www.textbookspy.com, it searches ebooks, new books, used books, rental books, all that stuff. And it shows the prices for every single competitor, so you pick the cheapest price and boom goes the dynomite, you have the cheapest books. My other suggestion is not to buy a rental book, here’s why, companies make a ton of money off of it. If you buy your book new or used, and resell your books at half or even back to a store, in the long run it ends up being cheaper for you, it just takes more work. Think about it.